Richard "Ricky" Whittle first came to prominence as a model for Reebok in the early 2000s. He is known in the United Kingdom for his role as Calvin Valentine in the Channel 4 teen soap opera Hollyoaks. In 2009, he competed in the BBC reality series Strictly Come Dancing, where he placed second to sports presenter Chris Hollins. In 2014, Whittle became known to American audiences after appearing as Daniel Zamora in the ABC television series Mistresses. The same year, he also began starring in The CW's post-apocalyptic drama The 100, playing the role of Lincoln, a "Grounder". Whittle also had a recurring role on VH-1's Single Ladies in 2012. 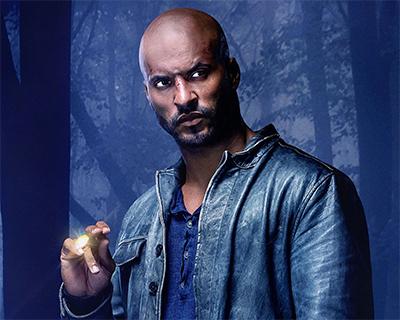 On 28 January 2016, Whittle was announced as the lead character, Shadow Moon, in the STARZ television series American Gods.